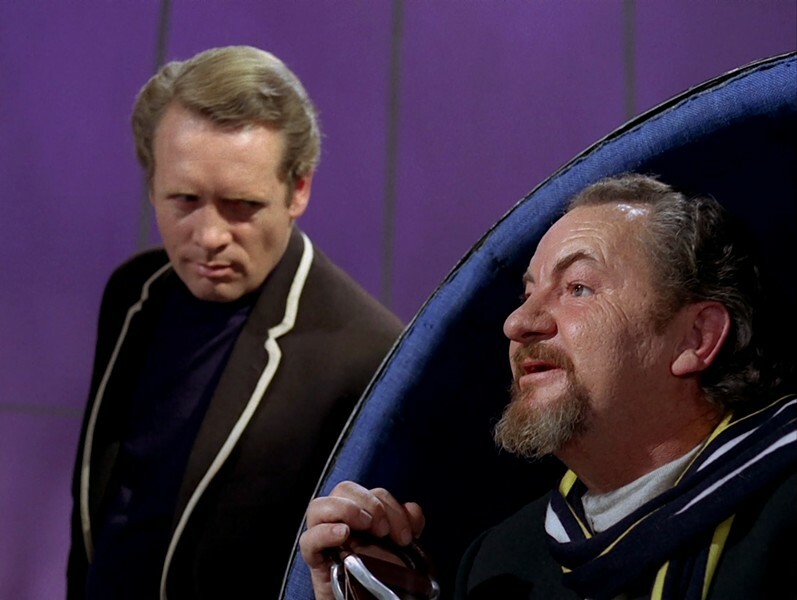 What I'm Watching: "The Prisoner"
Patrick McGoohan as Number Six in "The Prisoner"
Back in high school, my dorky friends and I were thrilled to discover “The Prisoner,” the cerebral British series from the late 1960s. It touched all the bases that were most important to us: It’s smart, British (we were all devout Anglophiles, thanks to Monty Python), cynical, clever, mysterious and fascinating. The compelling quality of its production values and “look” was a welcome bonus. We were so devoted to the show that, on one occasion, we watched its entire 17-episode run (which we’d seen at least twice already) in a single marathon session — from 10 a.m. one day to 3 a.m. the next. I think our brains were properly fried by the end, but in a good way. I’d been meaning to rewatch the series (in more digestible chunks), having not seen it in more than a decade, so I was pleasantly surprised when my wife suggested we do just that. I bought the A&E DVDs of the show’s full run many years ago, so they’re always at the ready. In grad school, when a friend spotted those DVDs on my shelf, he hollered, “NERD!” Can’t say he was wrong. “The Prisoner” remains one of the most intelligent and unusual shows of all time, even if it’s not exactly “television’s first masterpiece,” as the DVD boxes proclaim. (Seems to me that the various iterations of “The Ernie Kovacs Show,” which antedates “The Prisoner” by more than a decade, should receive that accolade.) Its dystopian vision, mordant humor and unabashed braininess are the heart of the show’s appeal to nerds of all generations. Denizens of the Village are a pretty passive lot. The thing I like best about “The Prisoner” — which I haven't yet finished rewatching — is that it’s unafraid to leave so many questions unanswered. It embraces ambiguity as few other TV series have. And that’s an unusual quality, because television, by definition, is a mass medium; ambiguity is not the most popular of qualities, precisely because it renders any text more complex and difficult. Such a show was far more likely to be produced in Britain than in the U.S., because the BBC was specifically charged with producing intelligent, challenging television programmes — er, programs. “Smart TV” was a tried-and-true way to create cultural prestige while simultaneously offering a product that was significantly different from most others. Much of the British television that we see in this country still abides by this general business/artistic model. To understand the ambiguity of “The Prisoner,” we must sketch out some of the details of the show. "The Prisoner” tells the story of a man who, after angrily resigning from what is apparently a high-level job in espionage or national security, is drugged and whisked away to a curious and inescapable town known simply as “the Village.” There, everyone is known by numbers, not names, and the unknown forces that govern the place will stop at nothing to extract information from its residents. (What sort of information is never specified.) 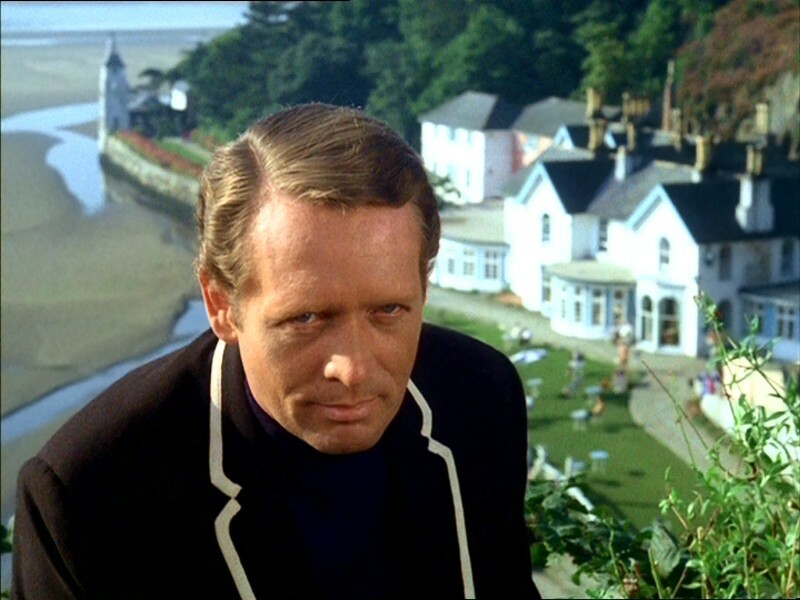 The protagonist, played by series co-creator Patrick McGoohan, is known only as Number Six; the Village is presided over by Number Two, a title occupied by a new person in almost every episode. We learn almost no information about the identity of Number One — if indeed he or she exists. The Village is occupied by perhaps a few hundred residents, all of whom have presumably been brought there because they possess valuable secrets that the Powers That Be have deemed too important to slip into the wrong hands. Escape is impossible (not to say Number Six doesn’t often try), as the Village is patrolled by giant, malicious, apparently sentient white spheres known as Rovers. This is what happens when a Rover gets you. In even that brief description of the premise of “The Prisoner,” note how much information is withheld from the viewer: the protagonist’s name, identity, former position and degree and type of “sensitive” information; the location, operation, governance and exact purpose of the Village; the goal of Number Two, and the reason why he/she is replaced so frequently; the nature of the Rovers. And that’s just for starters; every episode introduces new uncertainties, even as each slowly chips away at some of the more fundamental questions. Patrick McGoohan and Leo McKern (one of the best of the Number Twos) in "The Prisoner"
It has long been advanced, for instance, that the identity of Number Six is none other than John Drake, the character McGoohan played in the espionage series “Danger Man” (known as “Secret Agent” in the States). Could be, but I’ve never considered that a plausible reading, largely because “The Prisoner” is a show that resists easy answers at every turn. Very little in “The Prisoner” is certain — identities, locations, characters’ motivations and goals. Why, then, would the protagonist’s identity be so easy to determine? For Number Six to be John Drake would run contrary to “The Prisoner”’s overarching ambiguous approach. 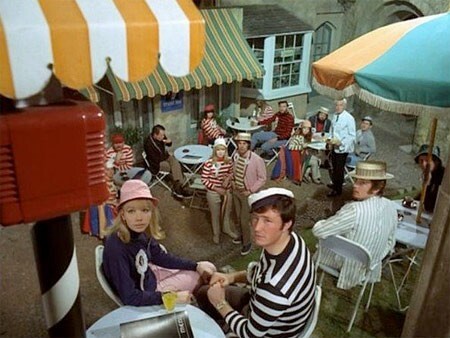 Besides, even if the character were John Drake, that wouldn’t help us understand “The Prisoner” any more fully. All it would do is create a rather gimmicky linkage between the two shows, which otherwise have little more than vague, generic connections. “Danger Man” is a pretty straightforward spy show, whereas “The Prisoner” is part espionage, part science fiction, part comedy (that aspect is underrated, I’ve always thought) and part drama (whatever that is). Meh, I say, to such attempts to “explain away” this or other uncertainties of the show. The ambiguity is the chief reason it’s so rich and compelling. 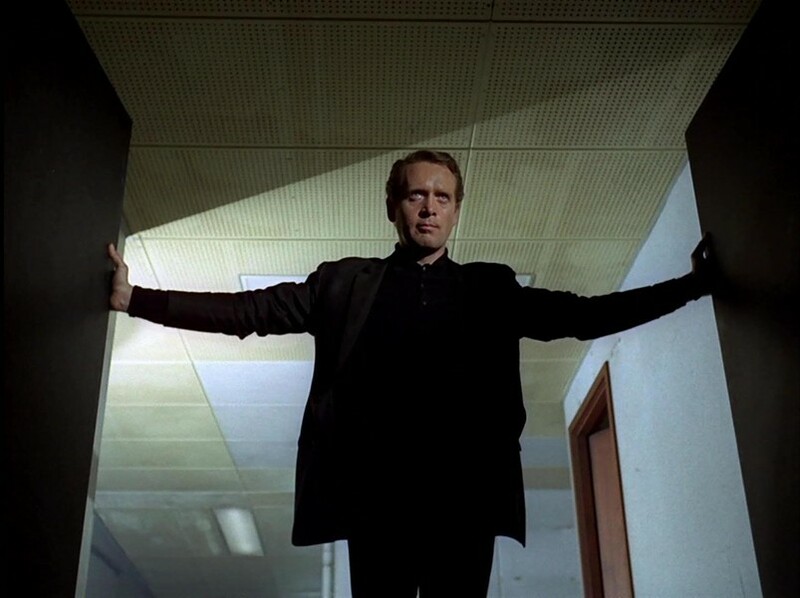 And that’s been the most pleasant surprise of rewatching “The Prisoner.” Its ambiguities remain exciting and intelligent to me; they still have the power to engage even a seasoned viewer. In fact, I’d argue that the show’s many uncertainties are precisely what gives it its staying power, and why the series was remade about six years ago, and why such “cerebral” film directors as Christopher Nolan have expressed interest in making a movie version. It’s exactly because the answers don’t come easily that the show, in my eyes, remains as smart and savvy as it did when I first watched it. Ambiguity is welcome on my screen any time. 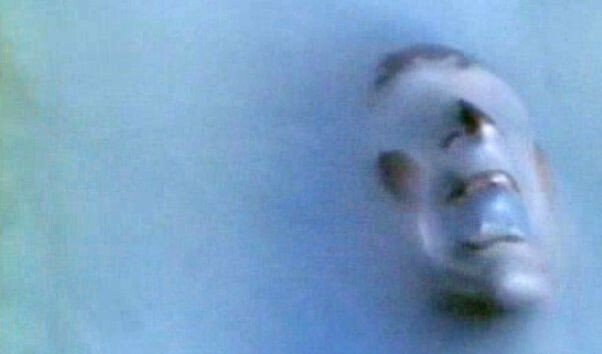 If you know "The Prisoner," this image, from the opening credits, probably elicits the audio cue — a thunderbolt — that accompanies it.